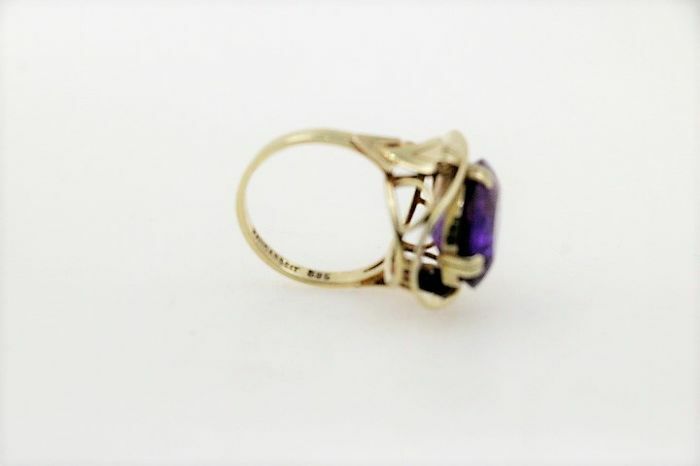 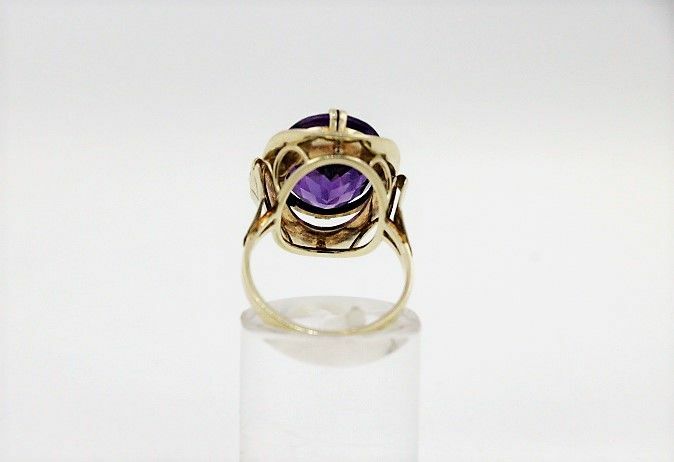 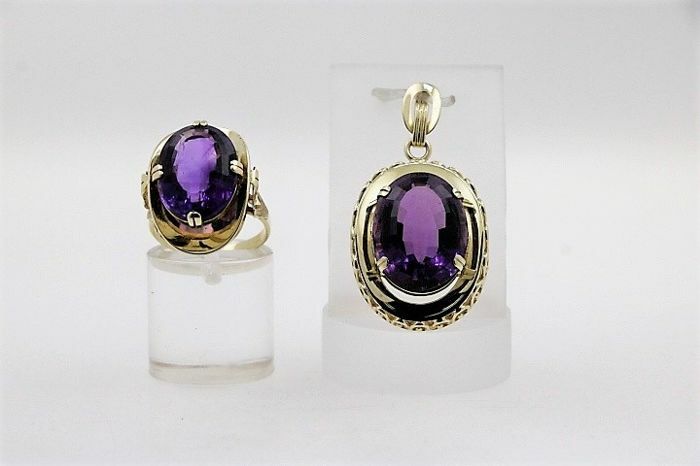 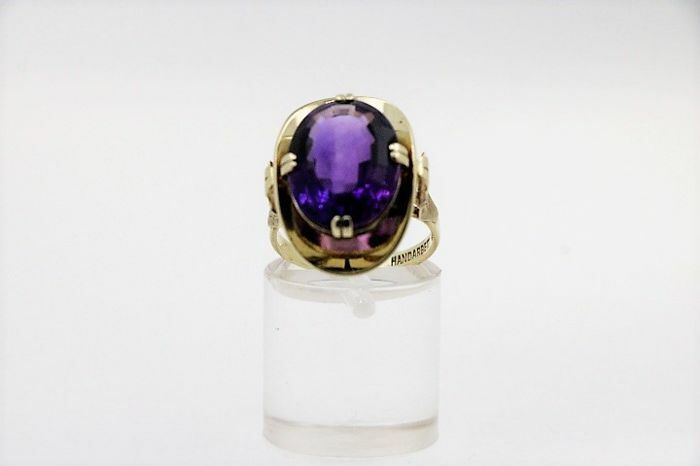 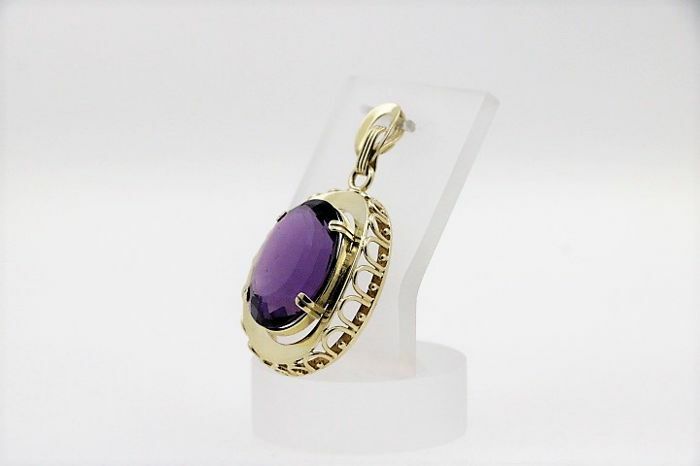 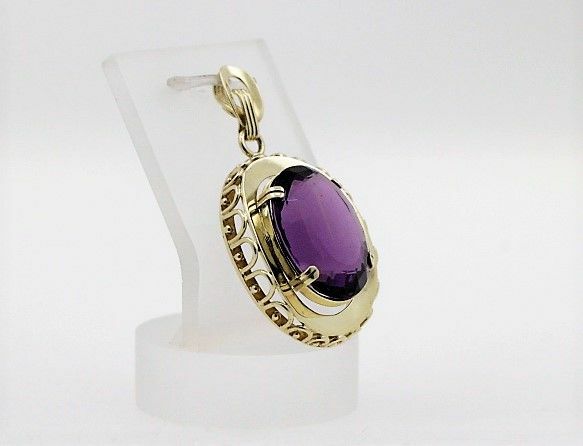 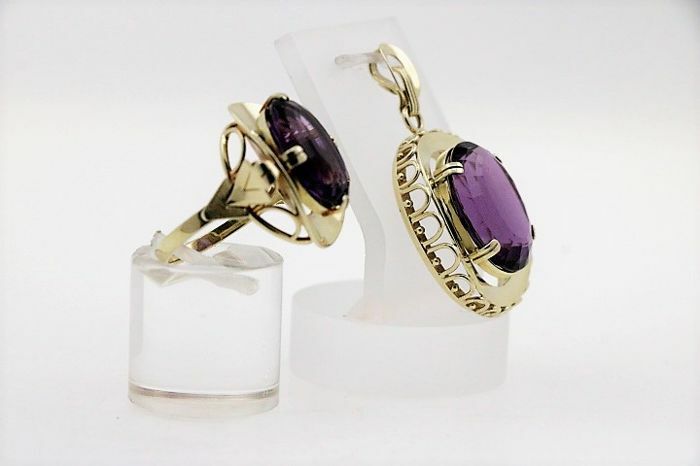 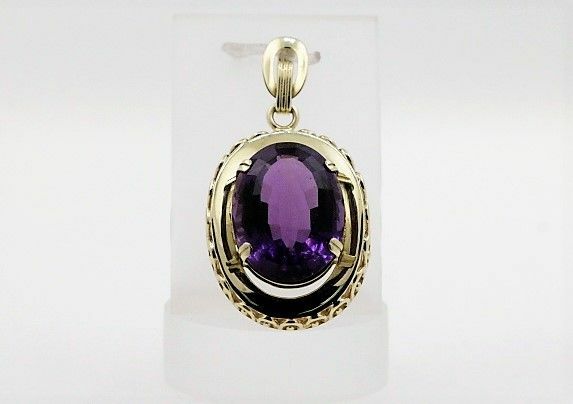 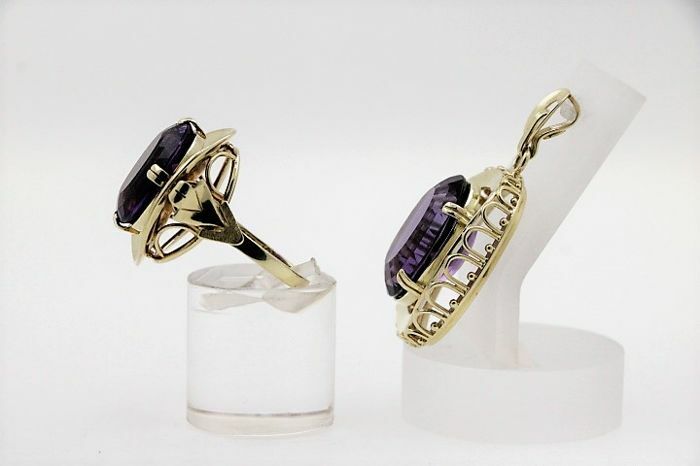 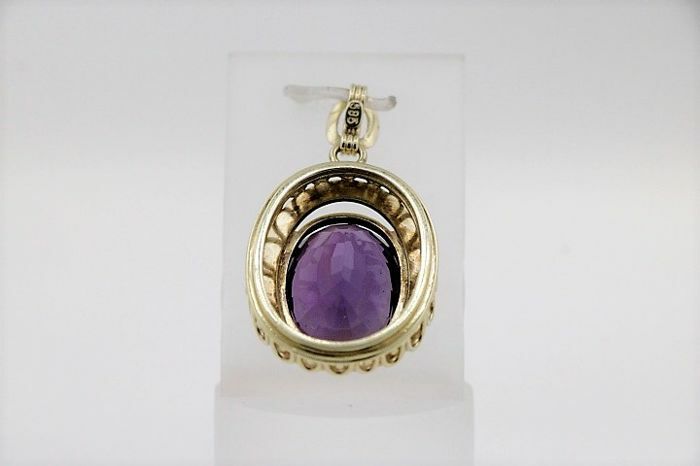 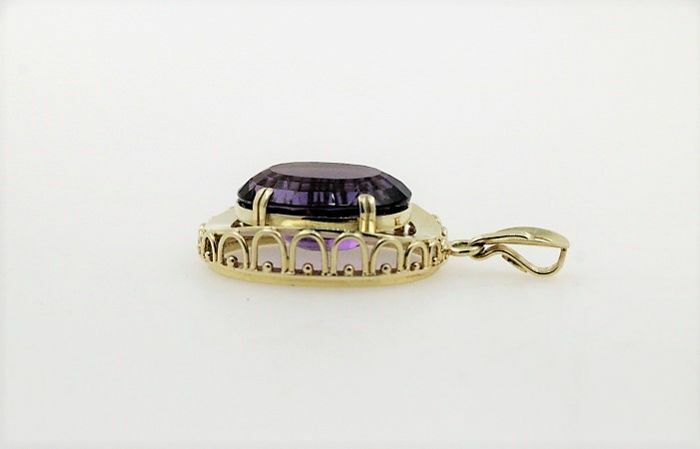 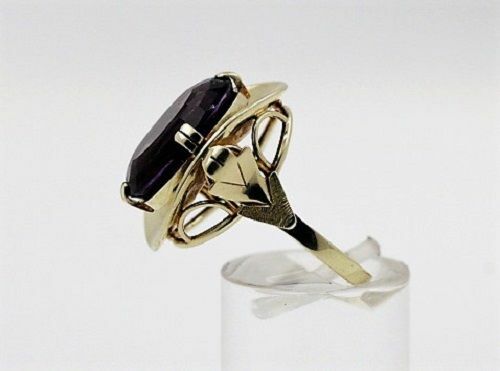 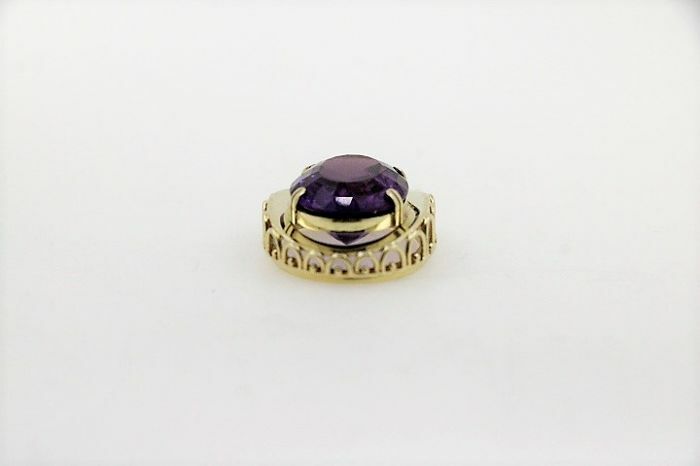 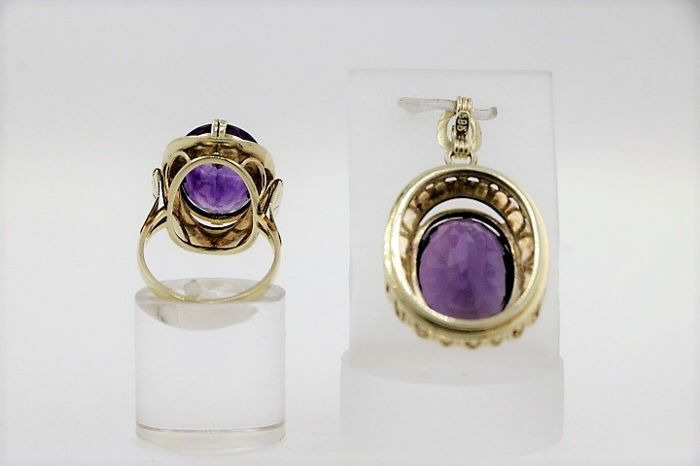 Set consists of a ring and pendant made of 585 yellow gold and set with amethysts. 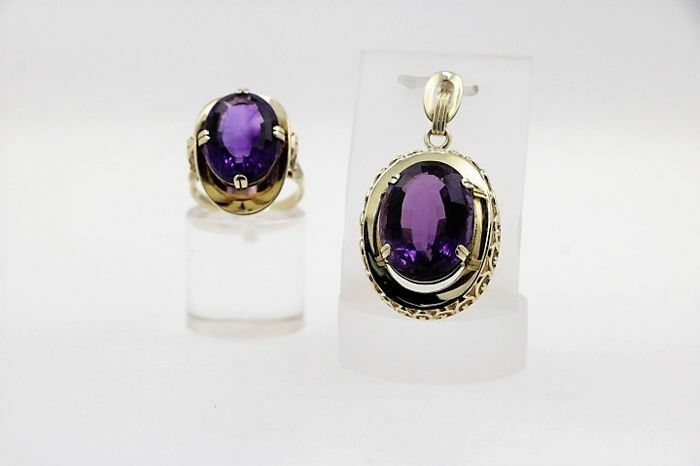 The set is in very good condition! 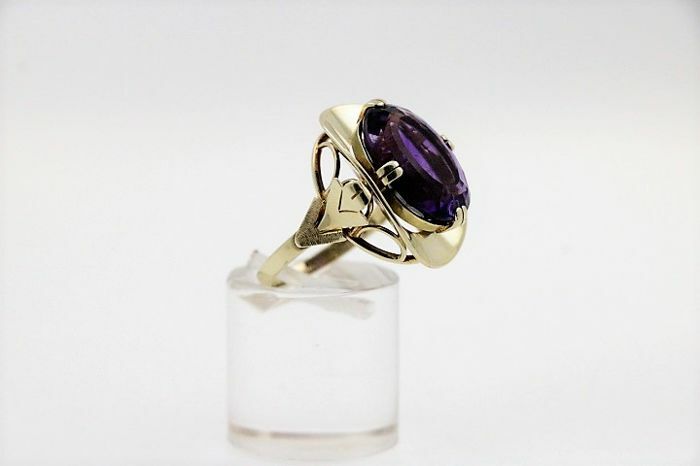 We can resize the ring according to your wishes upon request.